Tax filing day is less than two weeks away, and another red flag has been raised about the importance of consumers keeping their personal data away from prying eyes. In Shred-it’s just released 2019 Tax Season and Fraud Prevention Report, it caught our attention at ConsumerAffairs that more than one third (38 percent) of taxpayers say they’re sweating that they could become a victim of identity theft during tax season, yet nearly half of all taxpayers (45 percent) confess that they stash their tax documents in an unsecure location like a storage box, desk drawer, or unlocked file cabinet at home or work. More than a quarter (26 percent) of taxpayers say they know someone who has been a victim of tax fraud or tax identity theft. More than a third (35 percent) of U.S. taxpayers think using tax preparation software and filing their return directly online puts them at a greater risk of tax fraud or tax identity theft than if they used a certified tax preparer (10 percent), a family member or friend (26 percent). Nearly half (46 percent) of the taxpayers that file with a tax preparer are unsure how their tax preparers store/dispose of their tax documents. 47 percent of taxpayers say they don’t know how long they’re supposed to keep tax documents before disposing of them. By the way, the Internal Revenue Service (IRS) says that 3 years is the minimum but the length is dependent on a variety of factors. More than half of the Gen Zers (56 percent) are the least confident in their abilities to detect fraudulent tax emails compared to Millennials (69 percent) and Baby Boomers (60 percent). Millennials (43 percent) are the most worried about becoming victims of tax fraud or tax identity theft compared to Baby Boomers (34 percent) and Gen Z (33 percent). Men (9 percent) are more likely than women (5 percent) to say they have been a victim of tax fraud or tax identity theft, but both sexes are almost equally as worried that they could become a victim of tax fraud or tax identity theft. “Tax season can be a stressful time for consumers -- between all of the paperwork you need to receive and compile to then scheduling an appointment with a tax preparer or making time to do your taxes yourself, there’s a lot of moving parts and information to consider,” Shred-it’s SVP, Ann Nickolas told ConsumerAffairs. Question disposal and storage methods. If you’re not doing your taxes yourself, and instead have tapped the assistance of a friend, family member or a certified tax preparer, one of the most important questions you should ask is how this person or organization is storing your highly sensitive information and also, how are they disposing of the tax paperwork. Do they use the services of a professional information destruction and disposal company that securely shreds your tax paperwork? Are they storing your files in a locked cabinet? Who has access to this paperwork? Your tax paperwork (think student loan information, mortgage and business documents, your SSN and more) are extremely sensitive documents. You want to ensure that when you hand over this information that the person is protecting it securely. Upgrade your own disposal and storage methods. Since it’s recommended to keep your tax returns for a number of years it’s time to rethink how you’re storing and, then, disposing of your own information. Taxpayers should upgrade their information security habits at home by investing in a locked file cabinet, and professionally shredding all paperwork before disposing of it. Maintain a clean desk policy at home. Whether you have a dedicated office space in your home or if your tax paperwork tends to sit on the counter, table or on the entryway shelf, consumers should avoid letting any information, let alone tax paperwork, pile up. This is especially important if you have visitors entering your home. Keeping your information out of sight, and in a locked cabinet will help to safeguard you from potential risk. Haven’t filed your tax return yet? If the new tax laws puzzle you or if you just need some extra time to file, the IRS is hosting a free webinar regarding tax returns on Thursday, April 4. The webinar, called “Filing is the Thing to Do, Even if You Have a Balance Due,” is slated for 2 p.m. Eastern time. 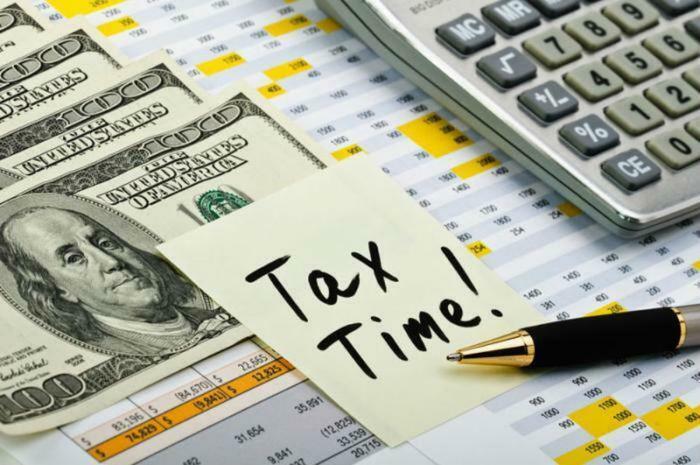 The hour-long webinar will include a Q&A session and, of particular note for taxpayers who need more time to prepare their taxes, the IRS will provide information on how to apply for an extension of time to file during this session.